user warning: Table './active5_foxes/cache_filter' is marked as crashed and should be repaired query: SELECT data, created, headers, expire, serialized FROM cache_filter WHERE cid = '2:3b5d7807a8d7f2b473f7d216d4fa2209' in /home/active5/public_html/drupal6_multisite/includes/cache.inc on line 25.
user warning: Table './active5_foxes/cache_filter' is marked as crashed and should be repaired query: UPDATE cache_filter SET data = '<p class=\"rtecenter\"><img alt=\"\" src=\"http://www.catchingfoxes.com/sites/www.catchingfoxes.com/files/resize/blog/Nest-486x279.jpg\" style=\"width: 486px; height: 279px; border-width: 5px; border-style: solid; margin: 10px;\" title=\"\" width=\"486\" height=\"279\" /></p>\n<p>Rich spotted it first.&nbsp; An empty bird&#39;s nest nestled in the branches. We paused. Admired. Took a photo. Considered the tree. But moved on, leaving the nest for whoever claimed the tree.</p>\n<p>But the image stuck with me all month. It was Advent to me.</p>\n<p>&quot;A little empty bed waiting for a baby,&quot; was the comment I posted on the photo when I uploaded it to Facebook.&nbsp; I regretted leaving the nest. 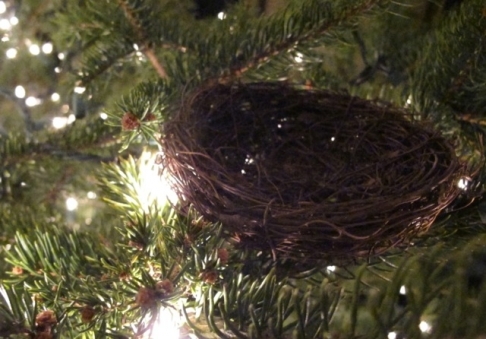 I wished I had brought it home to symbolize the coming of Jesus, the one who fills empty places in managers and hearts.</p>\n<p>Finding an empty nest last December was strangely fitting. Our nest has been slowly emptying for years. Only four of our seven children were rambling through the tree farm with us that day. One of those four, The Cowboy, already had his train ticket to head west just after Christmas. Another, Mr. Numbers, would return to college mid-January. Just two in a nest that once held seven.</p>\n<p>What does a couple do when the nest empties?</p>\n<p>The house still smelled of Christmas pine late last December when <a href=\"http://www.catchingfoxes.com/content/responding-call\">my friend sent the question </a>that would challenge our empty nest question. Would we allow Jesus to fill our nest again? Or more pointedly, would we look admiringly at the baby in the manager, but join the throngs in Bethlehem in telling Him there is no room?</p>\n<p class=\"rtecenter\"><img alt=\"\" src=\"http://www.catchingfoxes.com/sites/www.catchingfoxes.com/files/resize/blog/Nest2-486x339.jpg\" style=\"width: 486px; height: 339px; border-width: 5px; border-style: solid; margin: 10px;\" title=\"\" width=\"486\" height=\"339\" /></p>\n<p>I found a little decorative nest at the craft store last spring and it&#39;s nestled amongst the ornaments and lights on my tree today. It is a symbol of my Advent prayer:</p>\n<p>Come Lord Jesus -</p>\n<p>Fill the manager with your presence,</p>\n<p>Fill my heart with your kind of love,</p>\n<p>Fill my home with your people.</p>\n<p>Come Lord Jesus.</p>\n', created = 1555821100, expire = 1555907500, headers = '', serialized = 0 WHERE cid = '2:3b5d7807a8d7f2b473f7d216d4fa2209' in /home/active5/public_html/drupal6_multisite/includes/cache.inc on line 108.
user warning: Table './active5_foxes/cache_filter' is marked as crashed and should be repaired query: UPDATE cache_filter SET data = '<p class=\"rtecenter\" style=\"\"><a href=\"http://www.facebook.com/CatchingFoxes\" target=\"_blank\"><img alt=\"\" src=\"/sites/www.catchingfoxes.com/files/resize/social/facebook-64x64.png\" style=\"text-align: center; width: 64px; height: 64px; \" width=\"64\" height=\"64\" /></a><a href=\"http://pinterest.com/kimmrankin/\" target=\"_blank\"><img alt=\"\" src=\"/sites/www.catchingfoxes.com/files/resize/social/big-p-button-64x64.png\" style=\"width: 64px; height: 64px; \" width=\"64\" height=\"64\" /></a><a href=\"mailto:kim@catchingfoxes.com\" target=\"_blank\"><img alt=\"\" src=\"/sites/www.catchingfoxes.com/files/resize/social/mail-64x64.png\" style=\"width: 64px; height: 64px; \" width=\"64\" height=\"64\" /></a><a href=\"http://www.catchingfoxes.com/rss.xml\" target=\"_blank\"><img alt=\"\" src=\"/sites/www.catchingfoxes.com/files/resize/social/rss-64x64.png\" style=\"width: 64px; height: 64px; \" width=\"64\" height=\"64\" /></a></p>\n', created = 1555821100, expire = 1555907500, headers = '', serialized = 0 WHERE cid = '2:48be9f28bc948ea32b70445d0a590c98' in /home/active5/public_html/drupal6_multisite/includes/cache.inc on line 108.
user warning: Table './active5_foxes/cache_filter' is marked as crashed and should be repaired query: UPDATE cache_filter SET data = '<div class=\"fb-like\" data-font=\"verdana\" data-href=\"http://www.facebook.com/CatchingFoxes\" data-send=\"false\" data-show-faces=\"true\" data-width=\"280\">\n	&nbsp;</div>\n', created = 1555821101, expire = 1555907501, headers = '', serialized = 0 WHERE cid = '2:854065b9b61ff8596c8fa62e384317c7' in /home/active5/public_html/drupal6_multisite/includes/cache.inc on line 108.
user warning: Table './active5_foxes/cache_filter' is marked as crashed and should be repaired query: UPDATE cache_filter SET data = '<p><strong>Catch for us the foxes, the little foxes that ruin the vineyards, our vineyards that are in bloom. </strong><br /><em>Song of Solomon 2:15 NIV</em></p>\n<p>Metaphorically, the &quot;foxes&quot; are the damaging attitudes and actions that can creep in and threaten the love relationship of a couple and a home. &nbsp;Catching Foxes is committed to being a resource as you guard against the things that might injure and destroy the harvest you are striving to grow in your home.</p>\n', created = 1555821101, expire = 1555907501, headers = '', serialized = 0 WHERE cid = '2:132a8457abcc78748ef29251eaa8f1d7' in /home/active5/public_html/drupal6_multisite/includes/cache.inc on line 108.
user warning: Table './active5_foxes/cache_filter' is marked as crashed and should be repaired query: UPDATE cache_filter SET data = '<p><a href=\"mailto:kim@catchingfoxes.com\">kim@catchingfoxes.com</a></p>\n', created = 1555821101, expire = 1555907501, headers = '', serialized = 0 WHERE cid = '2:fe7b2055d10a2c25c439ca4710d86502' in /home/active5/public_html/drupal6_multisite/includes/cache.inc on line 108. 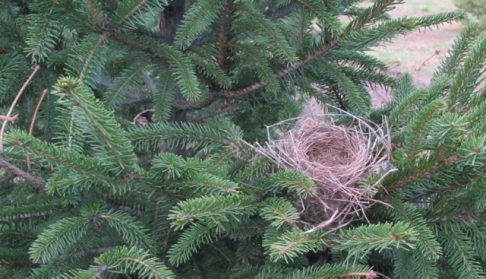 Finding an empty nest last December was strangely fitting. Our nest has been slowly emptying for years. Only four of our seven children were rambling through the tree farm with us that day. One of those four, The Cowboy, already had his train ticket to head west just after Christmas. Another, Mr. Numbers, would return to college mid-January. Just two in a nest that once held seven. What does a couple do when the nest empties? The house still smelled of Christmas pine late last December when my friend sent the question that would challenge our empty nest question. Would we allow Jesus to fill our nest again? Or more pointedly, would we look admiringly at the baby in the manager, but join the throngs in Bethlehem in telling Him there is no room? Fill my home with your people.